Smooth calfskin slip on sandals in black. Almond peep toe. Tonal leather lining. 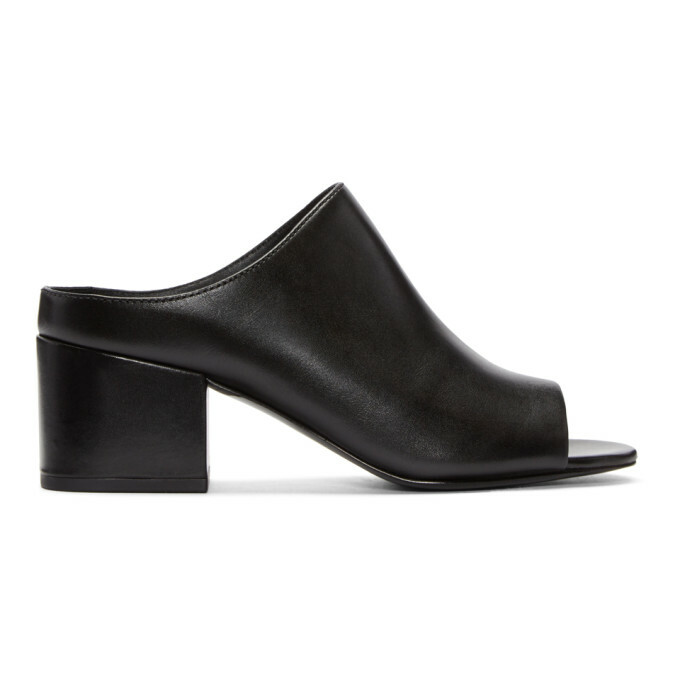 Covered block heel. Tonal leather sole. Tonal stitching. Approx. 2.25 heel.